"Anyone who tells you money can’t buy happiness, doesn’t know where to shop”. The festival of Eid is almost round the corner and more than 1.5 billion Muslim populations around the world are looking forward to celebrate Ramadan. It’s a kaleidoscope of cultural and religious activity emphasizing the importance of embracing the friends and enemies with an open heart, to inspire everyone with the impressive attitude and to share and distribute the happiness with everyone around you. 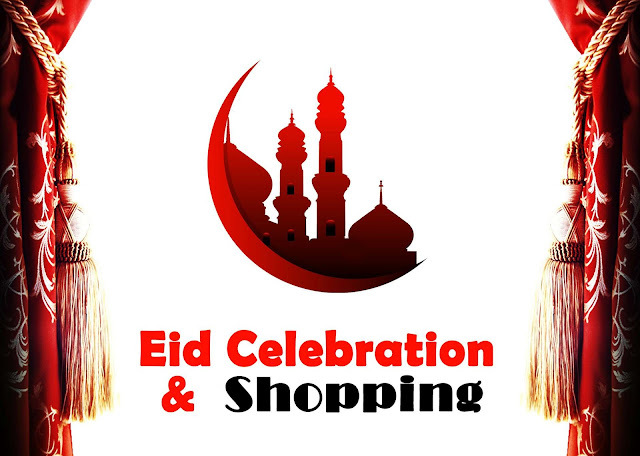 EID SHOPPING: Besides the ritual prayers, fasting and other religious activities, shopping for Eid with family and friends is considered to be the most exciting task for all those who observe this festival. It needs planning much ahead the Ramadan. People with their dear ones visit market places shops malls and various shopping destinations to find the desired object of their choice. In the present scenario amidst the hustle and bustle of modern life, taking out time to go out for shopping is tiresome. Online shopping concept has eased the misery of marketplace shopping. Online shopping options have become very popular and reliable too. But deciding the right place to shop the best is not so easy. All the online shopping options may not stand up to your expectation and may not deliver the content as chosen by you in quality. A genuine, well established and reliable online shopping destination can provide complete customer satisfaction. Yes, it is time not only to plan your Eid shopping but also to seek the right destination to find your best Eid collection. A good Eid collection can be a reason for contentment for your festive season. Eid dresses are an important part of your Eid celebration. If your choice of Eid dresses is something ethnic, you definitely have a sea of the collection to look forward to at www.ishimaya.com. 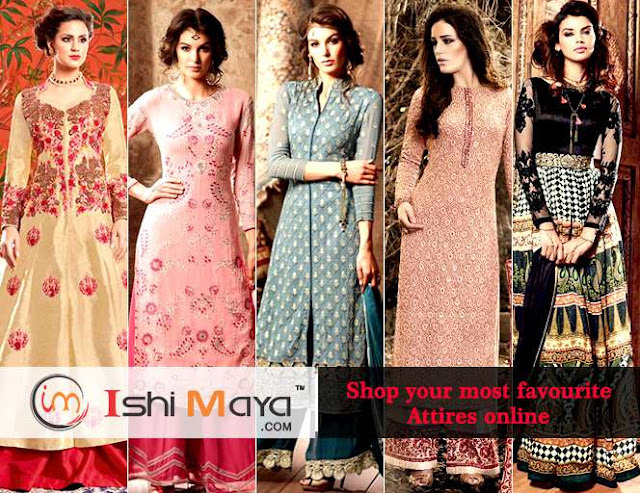 The Ishimaya online shop is the perfect destination to find the Eid dresses of your choice. This Eid collection is definitely an attempt to define the true essence of being a woman. WHAT SPECIAL DOES ISHIMAYA HOLD AS THE EID COLLECTION? It is a casket of surprises for the latest fashion seeking a woman. The best Eid dresses in style, elegance and quality define the Eid collection. Your choice of Eid special dress may vary from long dresses salwar kameez, lehengas to saris. Ishimaya has a unique collection of the best sorted ethnic wear for the occasion. EID GIFTS: EXPRESS YOUR LOVE FOR YOURSELF, FAMILY, AND FRIENDS THROUGH GIFTING. “It’s not how much we give, but how much love we put in giving” - Mother Teresa. This Eid experience the joy of giving gifts. There is a wide option for Eid gifts like sweets, flowers, jewelry, monetary gifts, clothes etc. This Eid opt for online shopping. Online orders on arrival give the pleasure of receiving gifts. Gifting ideas vary from persons to person, but if you are looking for gifts for all the important women in your life www.ishimaya.com is the right place for their choice. To bring relief to your wallet there are offers like Super saver sale and different coupons like Eid coupon cards and Eid discount cards to suit your requirements. These sale and coupons offer discounts ranging from 20% to 50%. Rush to the E-commerce portal that deals exclusively in the Indian Ethnic wear collection. LONG DRESSES AND SALWAR KAMEEZ: Long dresses are nowadays the most preferred outfit. It has a hot collection of long dresses at affordable prices in the salwar kameez category varying from straight suits, floor length Anarkali suits, C-Cut suits, A-line suits, Double layered suits, Frock suits, Gown suits and Jacket style long suits .These long dresses are unique and nowhere close to the usual designs available in the local market. These long dresses are fairly complimented with a mix and match option of palazzo pants and leggings to derive the maximum fashion statement. Your Eid special dress will set a new fashion statement among others. A huge range of fabric, work and colors are experimented to match the best industry standards. LEHENGAS AND SAREES: Since the history of mankind it has been really hard to impress women but Pretty clothes are one of the most successful tools to do so. A wide range of the latest lehengas and saris are available at affordable cost. The special Eid collection of sarees and lehengas is a fusion of trend, tradition, and quality .The collection offers the best of fabric and color combinations in silks, cotton crepe, georgettes, chiffon velvet etc. www.ishimaya.com is all set to dress you the best possible way this festival. LET THIS EID BE A REASON FOR ALL THE BLESSINGS .